Former Philadelphia Eagles kicker Caleb "Power Struge" Sturgis is expected to sign with the Los Angeles Chargers, according to a report from Ian Rapoport of NFL Network. 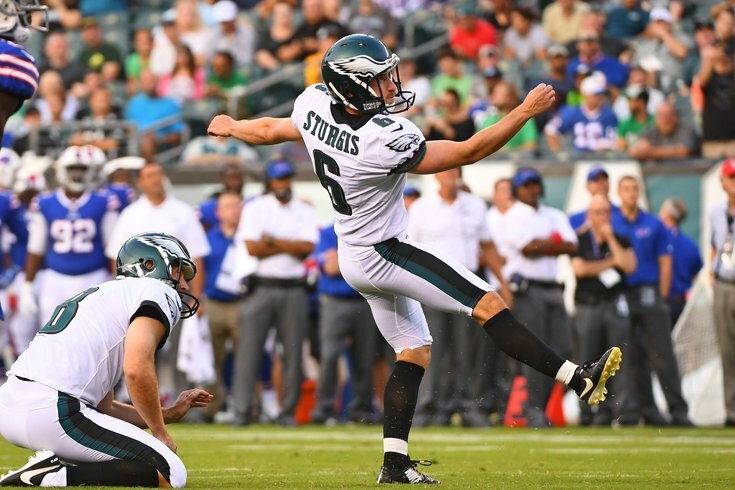 Source: The #Chargers are expected to sign former #Eagles K Caleb Sturgis. They had a visit from long-time #Raiders K Sebastian Janikowski, but went with Sturgis instead. He also did a great job on kickoffs in 2016, lofting kicks with good hang time, allowing the Eagles' coverage units to get down the field to almost always make tackles shy of the touchback mark at the 25-yard line. In fact, opposing teams averaged 19.1 yards per kick return, which was second-lowest in the NFL. In 2017, Sturgis was placed on IR with a quad injury suffered Week 1 against the Redskins. He was replaced by Jake Elliott, who proceeded to take a stranglehold of Sturgis' job. The Eagles kept Sturgis on their roster for the entirety of the 2017 season, and as a result, Sturgis could qualify toward the compensatory pick formula, as we noted earlier this morning, depending on the terms of his contract.